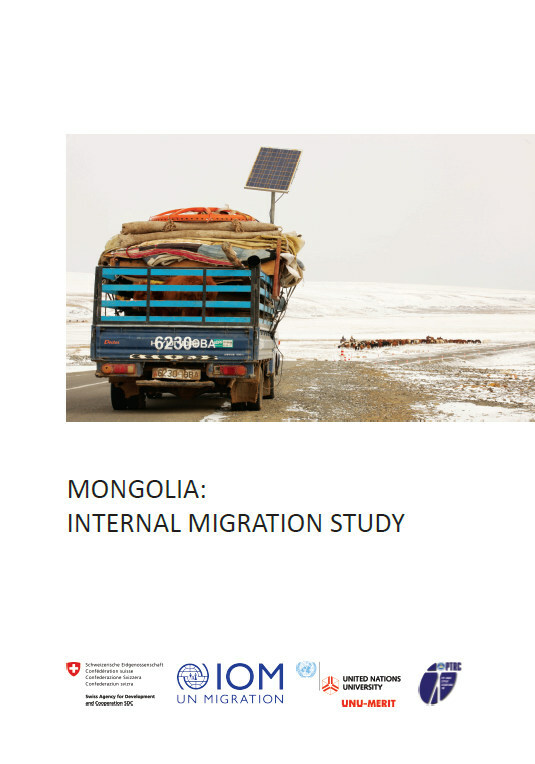 A new report from the International Organization for Migration (IOM) provides updated evidence on the trends of internal migration within Mongolia. UNU-MERIT researcher Dr. Craig Loschmann contributed to the study by assisting the Population Training and Research Centre (PTRC) of the National University of Mongolia with data analysis and in writing the report. The descriptive analysis is based on extensive quantitative and qualitative data collection with internal migrant and non-migrant households, allowing for useful comparisons across a range of relevant topics. The report’s main findings serve to inform policy recommendations that take into account contemporary internal migration dynamics within the country. Internal migration within Mongolia has a long tradition that continues up until today. More recent trends, however, are exceptional in that the share of households moving from rural to urban areas – including the capital of Ulaanbaatar – is relatively high, resulting in urbanisation and the depopulation of certain rural areas of origin. Given the challenges in both urban and rural areas because of internal migration, it is no surprise that the issue has become a main policy concern for the country. Nonetheless, the last internal migration survey was conducted in 2009, and there has been a shortage of thematic or in-depth study on the topic since. For more details and to access the report, click here.